I see the smiling faces reading this post and guarantee that you will enjoy the fest so much so come closer and check the fest schedule to buy the tickets matching with your travel to Barcelona city. I can't deny that how much you people are lucky living in Barcelona city already! So what is Guitar Bcn Project? It's music festival in Barcelona held every year in difeerent venues and lasts about 5 months hosting the most famous and talented artists related to the world of six strings. Guitar Bcn 2018 Barcelona will start on 27th January and be over on 26th June in 2018. The project will be held in various venues and hours so please check the places and times that appropriate to your trip to Barcelona city. So hold tight! Look, who is at the festival this year? Yeah, you see right! 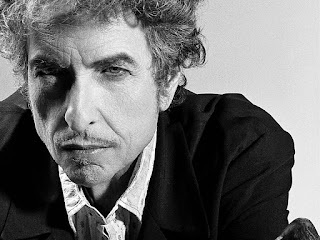 It's Bob Dylan who won Literature Nobel Prize in 2016. I know, you are much impatient now and feel to plan a journey to Barcelona in the middle of the year! These names are so famous and precious you can't miss the fest. There are so many events in Barcelona in 2018 that I can't help thinking to live in Barcelona for a while. What a nice would it be:). Bob Dylan and his band will be performing on 30-31 March 2018 at Gran Teatre del Liceu. The concert will start at 21.00 and the price starts from €75. Who else will be performing at Guitar Bcn 2018 Barcelona? Ringo Starr, Jorge Drexler, Deacon Blue, Indıa Martinez,Rozalen, Wim Mertens, G3 ft.Joe Satriani, John Petrucci ( Dream Theater) and ULI John Road and other 25 names. While planning a travel to Barcelona city, writing the events to your agenda beforehand will make your trip more unforgettable. Yes, maybe free style trips enable you feel more adventurous but you don't want to get upset when you back home. So we highly recommend you to note this fantastic festival in Barcelona 2018. For more detailed info about the names performing and dates or stages in the city please click here. Buy your tickets now cheaper! So here you can find a video about Guitar Bcn 2017 Barcelona. Thanks to the projectbcn for the video. If any violation please contact to us! Enjoy the ride! Don't forget to check other posts in the web site. We will try our best to be your dream Barcelona city travel guide.